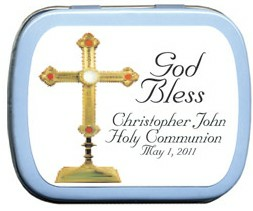 The classic design of this elegant Cross makes for lovely 1st Communion favors. 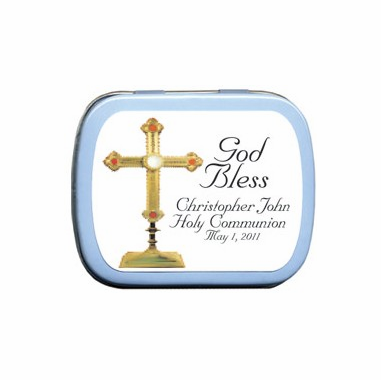 A custom tin with Communion candy is a beautiful way to thank your guests for sharing in the First Communion of your child. 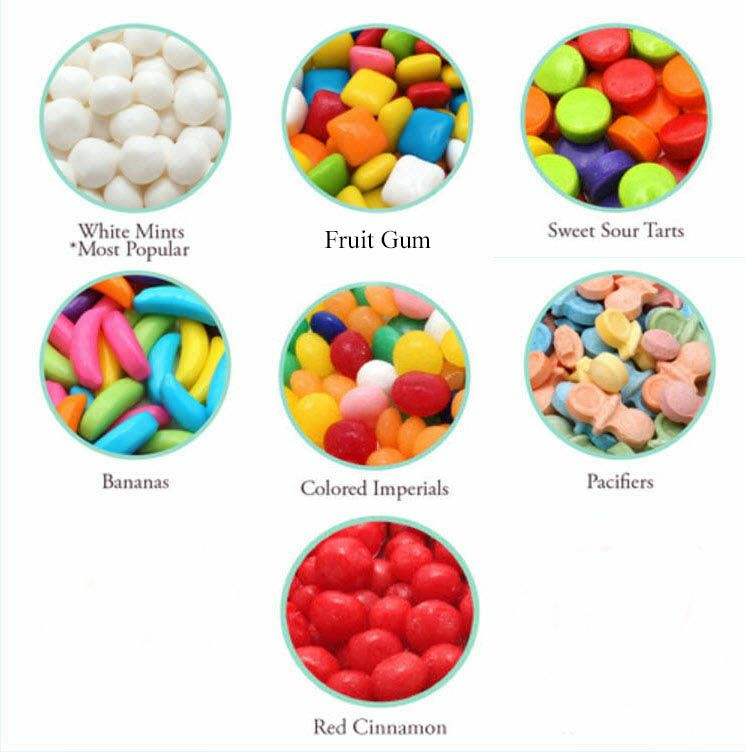 Outside features a gold Cross design label and inside the tin your guests will enjoy yummy candies of your choice. 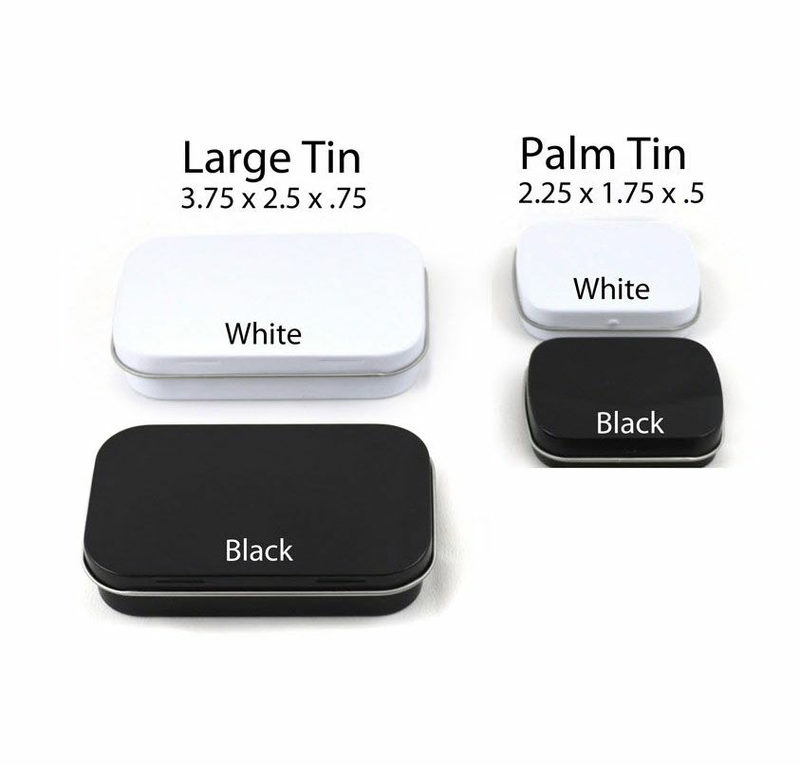 Personalize your label with your choice of font style, font color and tin color for a unique favor any Christian occasion - Christmas church events, Confirmation, Clergy appreciation and more!